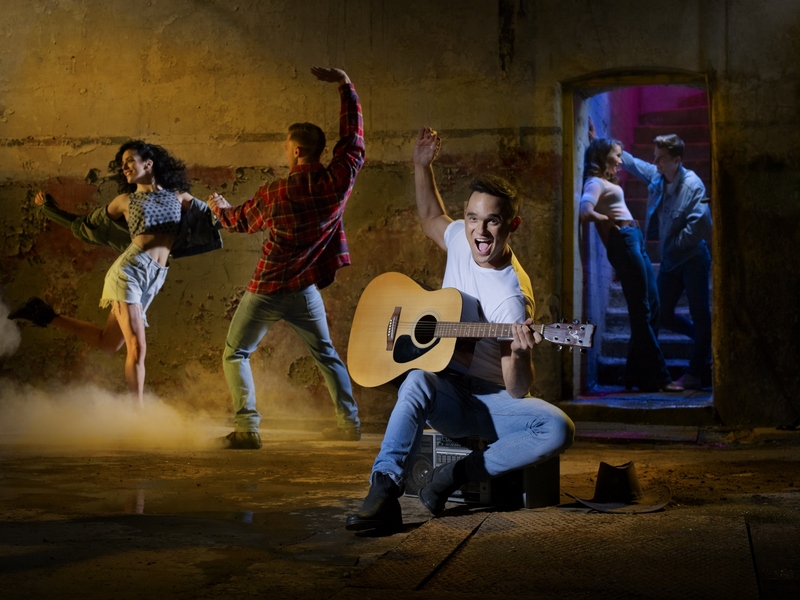 Worldwide smash hit musical Footloose bursts back onto stage this February at The New Theatre Cardiff. We got to chat with Gareth Gates who will take the lead role of Willard, a role originally made famous by Kevin Bacon in the 1984 smash hit film. Gareth found fame through the ITV talent show Pop Idol and went on to sell over 5 million records worldwide. He has since gone on to star in West End shows such as Les Miserables and Legally Blonde. He has also appeared in shows such as Dancing On Ice and The Big Reunion. Wyburn & Wayne: Tell us about your role in Footloose, are you enjoying the show? Wyburn & Wayne: What’s your favorite number in the show? Gareth: Well as this is more acting for me I only have one solo number which is Mama Says –which is great fun to do! Wyburn & Wayne: How did you find the transition from pop star playing arenas to west end star playing theatre shows? Gareth: I guess the biggest difference is being part of a team. Which is great. I enjoy touring and seeing different cities – I’m very lucky I’ve been nearly everywhere! I found the transition quite easy – but make no mistake 8 shows a week isn’t always easy! Wyburn & Wayne: What does 2016 have in store for you? Will there be more music or are you concentrating on theatre? Gareth: Well we have only just started this, so much of it will be Footloose. I’m also taking part in the second leg of Mad about the Musicals from mid April to Mid June. Wyburn & Wayne: You’ve played Cardiff quite a few times now, what’s the audience like here? And do you have any stand out memories of playing Cardiff? Gareth: Ah, I love Cardiff! I’ve got lots of friends that live nearby too and they always come and see me so I always feel very welcome! So I’m looking forward to it this time – both on and off stage! I’ve played a lot in South Wales – both as parts of shows and my own tours too and the audiences are great.